In today’s world, new medical advancements have allowed us to keep and control our health with various medicaments and cures. Little do people know, that solution to our better wellbeing, good and healthy physical shape lies in the non-invasive form of alternative medicine called naturopathy. There is no need to follow the traditional medical treatments and invasive healing methods when you can utterly reshape and boost your metabolism and organism by employing an array of pseudoscientific practices. In order to completely revamp your wellness, you need to ditch the contemporary medicine and heal yourself in the old-fashionable and productive way. Naturopathy or also known as naturopathic medicine is basically a practice of natural medicine in collaboration with many holistic and natural remedies. In other words, it is a distinctive form of medicine that focuses on altering and modifying your lifestyle, diet, nutrition and even fitness. The techniques of naturopathic medicine include various approaches using homeopathy, herbal medicine, cranial sacral therapy, acupressure therapy, and many other non-toxic natural therapies. It is all about understanding your body, and how it functions in order to naturally restore its physiological, psychological and structural balance. With changing your lifestyle habits and intaking proper food, and with the application of other naturopathic methods, you will be able to get treated from many illnesses. If you are striving to totally revamp and cleanse your organism, thus boost your wellness, the best way to achieve that is through naturopathy and designated food plan. Through balanced and proper food intake that naturopathic experts enlist you will able to detoxify your system and consequently improve your wellbeing. Professional naturopathic physicians will make you a clear and concise daily meal plan, which you need to stick to. You can find your personal naturopathic expert to help you create your own healing nutritional plan, and there is even a naturopathic wellness centre which provides unique health programs tailored for each individual. Many naturopathy nutritional meal plans help heal problems associated with constipation, autoimmune conditions, fatigue, heartburn, bloating, and many more. We all want nothing more than to wake up in the morning feeling relieved and content and continue with that emotion throughout the rest of the day. That feeling of bodily restfulness and content is what you will feel when you utterly boost up your wellness with naturopathy. In one way, this is a natural process that helps your body literary heal itself through detox and quality nutrition. The practice of naturopathy works in that way that it enhances your body’s ability to heal itself through special vital energy that is in our organism internally. Whereas, methods are based on using numerous bodily processes that guide and promote the body to naturally heal itself. Methods may range, but if you are willing to enhance your wellness and metabolism with naturopathy, you would need to do a complete detox of your organism by food and getting rid of toxic and unhealthy substances within. Sounds complicated, but isn’t at all. 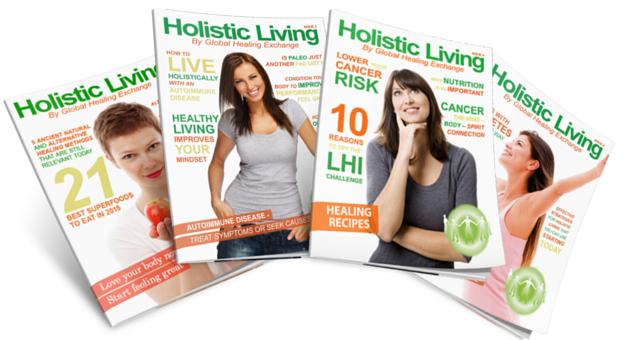 The practitioners use herbalism, homeopathy, nutrition cleansing, acupuncture, and many more. Definitely, the best way to empower and boost up our wellness is with appropriate food intake, but there are many other ways that the naturopathic approach can help our bodies. If you happen to have a sleeping disturbance, constant headaches, uncontrollable pain, digestive disorders, or you are simply striving to lose weight, you can choose clear and natural naturopathic methods. The principles are rather easy to comprehend. Since our bodies have an inherent ability to maintain and restore health, naturopathic methods are merely helping our system improve and return to its inbuilt state. Effective naturopathic treatment requires good communication between the naturopathic physician and the patient. Once that is achieved, the result is guaranteed. In naturopathic medicine, the goal is to treat the underlying cause and triggering factors affecting that disease process and optimizing overall health and normal body functioning. Due to that, the results are very often immediately positive and successful. By changing your poor diet you will improve your general health and boost your wellness. One of the best advantages is that all naturopathic physician is closely listening to the patients, and since the appointment lasts up to 2h, there are able to prescribe and set a clear healing method that will help you revitalize your organism. Not only that, but the benefits of choosing naturopathy for improving your wellness are that you are using solely natural ways and products, without any additives, chemical supplements, and other toxic elements. Every personal treatment is closely tailored and monitored by an expert, so there is no need to fear any possible negative outcome. The man has resorted to nature and natural product since the beginning of time and survived. Everything lies in nature, so seize the naturopathy practice and you would see a booming change in your wellbeing.